FRANCE: Floating foundation designer Ideol has gained €8 million in new backing from two firms with a track record in offshore wind: Siem Offshore and Hitachi Zosen. Hitachi Zosen and Ideol have partnered in floating offshore wind for the last two years, with Ideol set to supply its first floating platform to Japan in 2018. The Japanese firm is involved in five of Japan's floating offshore demonstration projects. German construction firm Siem offshore has most recently installed inter-array cables at the Veja Mate offshore wind project in Germany. 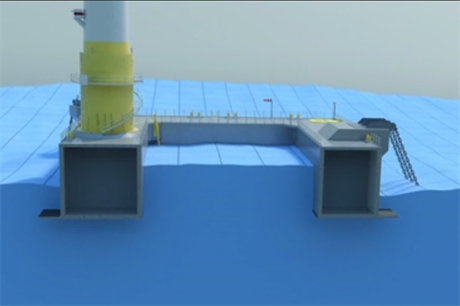 "The partnership agreements signed with these internationally-recognised companies give Ideol the unique capability of providing its clients with a turnkey solution in all major markets, from the engineering and construction of its patented floating foundations to their offshore installation," said Ideol CEO Paul de la Gueriviere. "We believe that such a global and integrated approach is rapidly becoming a true added value as the first commercial-scale projects are right around the corner. supplier with full-scale demonstration projects in the world's two major markets: Europe and Japan," he added. Ideol is also set to supply its "damping pool" floating platforms for the EolMed consortium at its 24.8MW floating project off the southern French coast, which won a licence in France's offshore tender in July 2016.